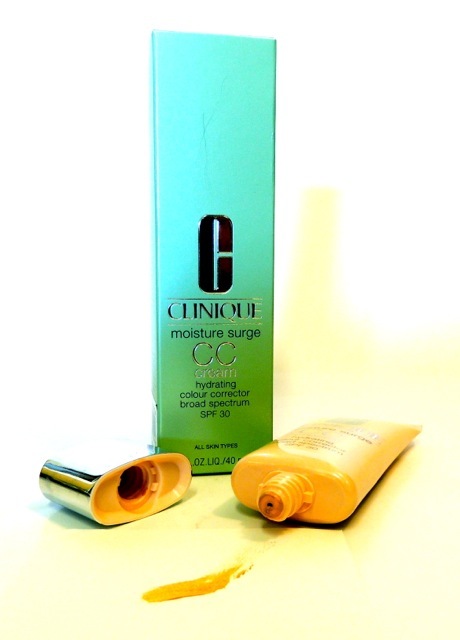 CLINIQUE Moisture Surge CC Cream - light - Give Me Gorgeous! 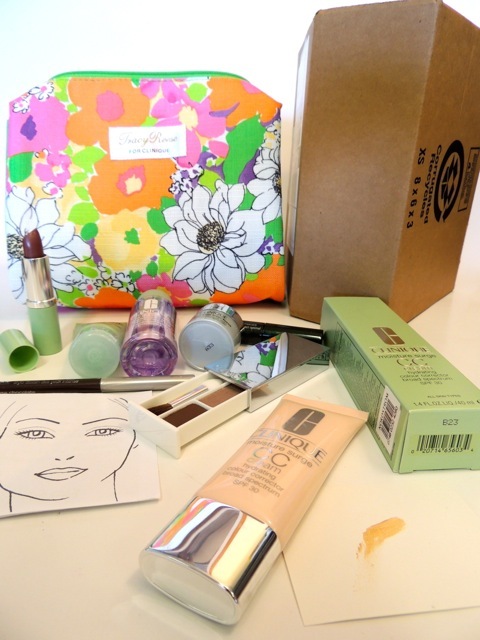 Recently purchased this CC cream during Nordstrom’s Clinique gift with purchase deal – the best time to try new items. About a year ago I was loving the BB (Beauty Benefits) creams, so was eager to try the new CC (Color Correcting) creams as well. While BB creams try to correct imperfections more so with coverage, CC creams are a bit lighter and aim to fix skin imperfections and even skin tones by color correcting (hence the CC) with tiny reflective pearlized particles (don’t worry you can’t detect their presence – only their effect). Otherwise, both have ingredients that protect and benefit skin as well as tint. Even if your skin tends to be oily (which mine does) it still needs moisture – skin may actually produce less oil with the pampering effects of moisturizing. 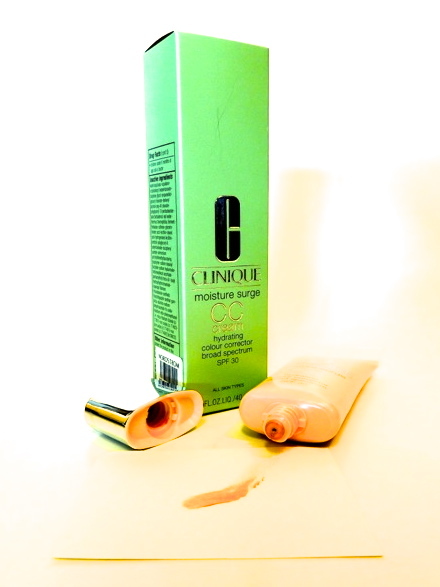 The Clinique Moisture Surge CC Cream comes in nine colors via Nordstrom: Deep, Fresh Peach, Light, Light Medium, Medium, Medium Deep, Natural, Natural Fair and Very Light. I decided to purchase the color Light after reading a few reviews online that seemed to indicate that the Very Light would actually be too white-ish for me even though I am pretty fair. The swatch below actually turned out a bit darker than it really is. Ladies – let me know if you’ve tired this or a different CC Cream, and if you’ve had good results as well. Thanks for reading! I tried a sample and really like it, I want to try a med light just to see if it is better match though. 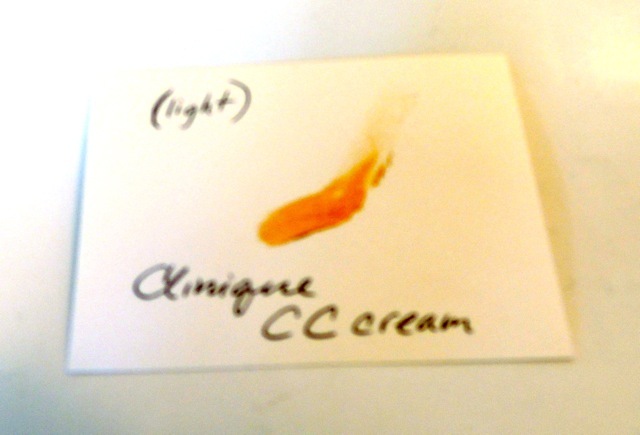 As a comparison I also tried Origins cc light, loved how it smelled but not as nice coverage. Hi Brenda! Nice to hear you tried this CC cream and it worked pretty well. To get a bit more color out of the CC creams, I sometimes pair it with an under eye concealer applied first, and/or a powder foundation over the top (like Bare Minerals). I also recently tired Lumene’s Time Freeze Anti-age CC Cream. 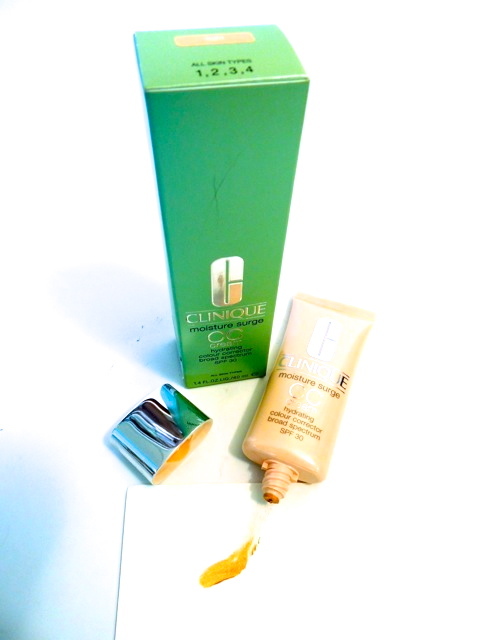 It came with my recent Net-a-porter beauty box and is a really nice cream with spf 20 (it came in the color medium which works okay even with my fair skin). Hey thanks! Great to hear the information was helpful. I appreciate your visiting my blog!